It was another busy start to the week at Earls Hall! The morning started with the children from across KS2 thinking about firework safety in their assembly. Mr B shared with them some public information films which highlighted the dangers of fireworks before he reminded them of the firework code. The message of the assembly was that fireworks are lots of fun provided everyone follows the code. As the day continued there were more firework themed lessons taking place. The children in the Foundation Stage used the Early Years garden to create their own human firework displays. The children used pom-poms, skipping ropes and any other items they felt suitable to act out the various whizz, bangs and whirls of a firework display. Meanwhile, in Year Two, the children created their own firework pictures by shaking, splatting and blowing brightly coloured paint on black paper. Upstairs, the children in Year Five began their WW1 work by investigating the significance of the poppy as a symbol whilst the children in 6MC began making their own pop bottle poppies. After school we hosted our brand new ‘Birds of Prey’ club where we were joined by Liam from ‘UK Owl and Raptors Displays’. The first session gave the children an introduction to birds of prey; learning about the definition of a bird of prey and the equipment used when training birds of prey. 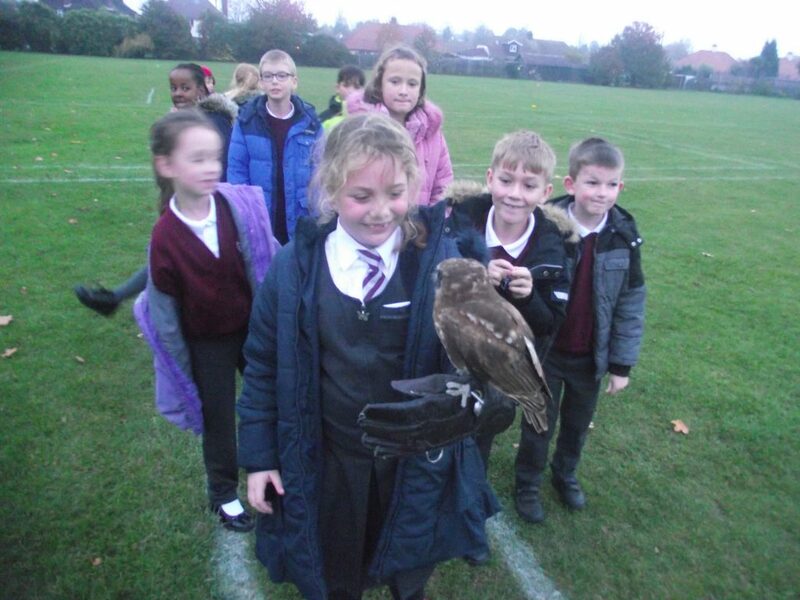 As part of the session the children went out onto the field where they met Bindi the Boobook Owl and each took turns flying him. In the upstairs hall, after school, a table tennis competition took place which saw Earls Hall take on a team from Bournemouth Park. A total of eight children from each school participated, with two teams of four battling it out on the tables. One of our teams won seven out of eight matches and our second team won all of their eight matches. There was a sense of sportsmanship all round the hall. Well done to all of the children who represented the school! ← Happy 80th Earls Hall!